The winter games are here, and I am eager to watch some Olympic action this weekend! This is one of the rare times when I wish we had access to T.V. programming. Since we're an internet-and-DVD-only household, I'm planning to whip up some goodies over the next week and a half and invite myself over to watch some of the events with friends. 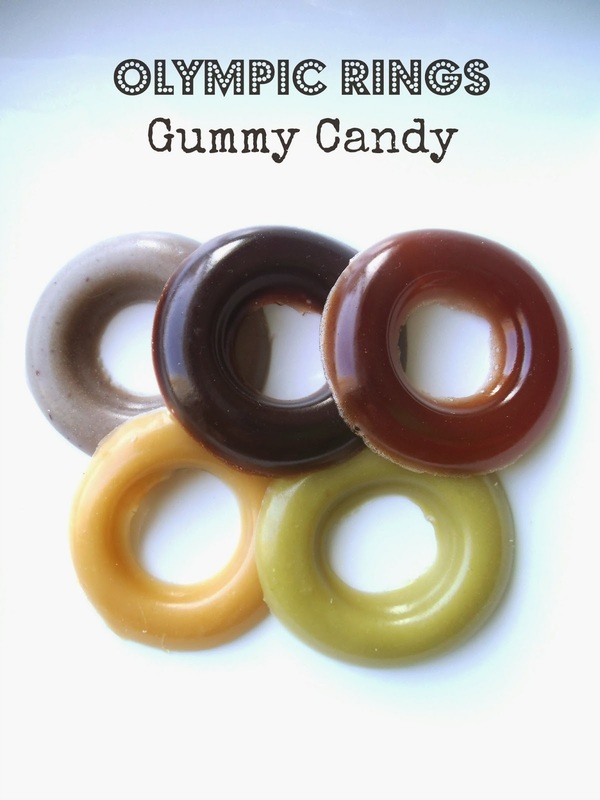 1) Eat some Olympic Rings! 2) Do some indoor figure skating! 3) Make and award some ice medals! Are you planning to watch the games over the next week? If so, what will your family members be doing while you watch? Those sound like 3 very fun ideas for this special occasion! Thanks for linking up with The Olympics Link Up and a huge thanks for linking back to it! Be sure to come by and link up all of your special posts that relate! I'm excited to try the gummies! Those are great ideas to celebrate the winter olympic. We don't have winter here so we ebjoy your posting. Thank you for sharing in th Pintastic Pinteresting Party.